Coral Creek, Ewa Beach, Hawaii - Golf course information and reviews. A once arid, flat, sun baked parcel, is now an oasis comprised of spring fed lakes, natural fauna and occasional wildlife, rolling fairways and undulating greens. 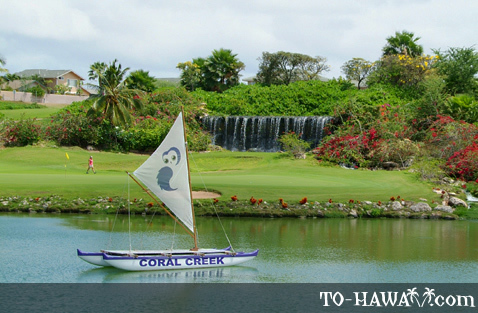 Together with the prevailing trade winds and beautiful sunny playing conditions, the lush rolling fairways and undulating greens of Coral Creek Golf Course beckon both resident and visitor alike to enjoy a challenging round here all year round! 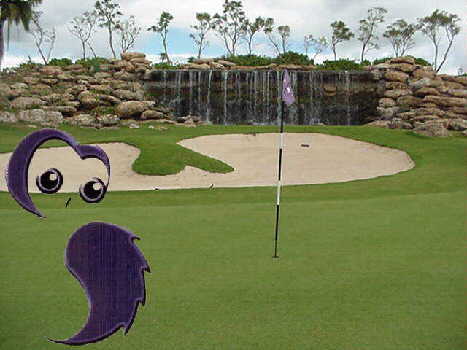 Water comes into play on at least 13 holes, mostly in the form of natural spring fed lakes or coral creeks. Players will find the cool prevailing 15-20 mph winds pleasant, but take note that this "cool breeze" can play havoc with any shot you play, making the water hazards an even greater threat. Well hit shots traveling above the tree line will most likely encounter the strong tradewinds coming off the top, forcing your ball's flight downward. Add a course review for Coral Creek. Edit/Delete course review for Coral Creek.